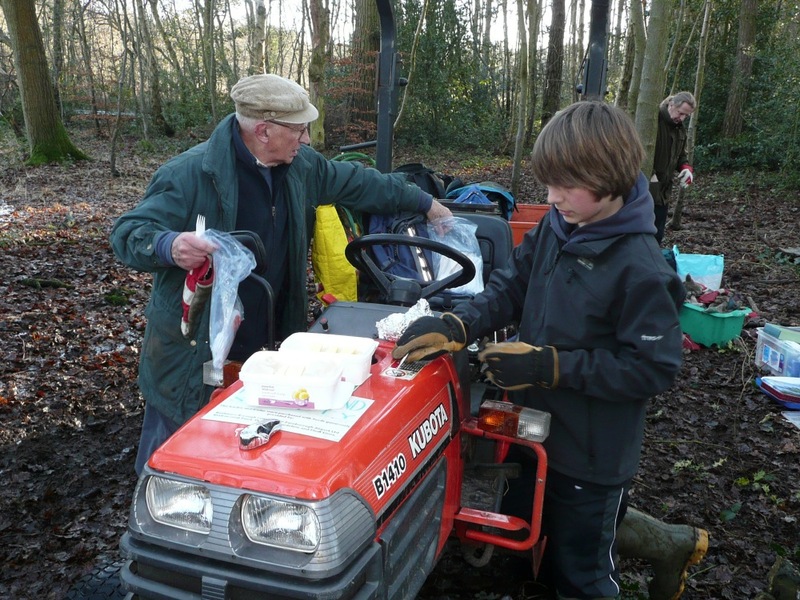 Volunteer Event 13 February – A Soggy, Boggy One! 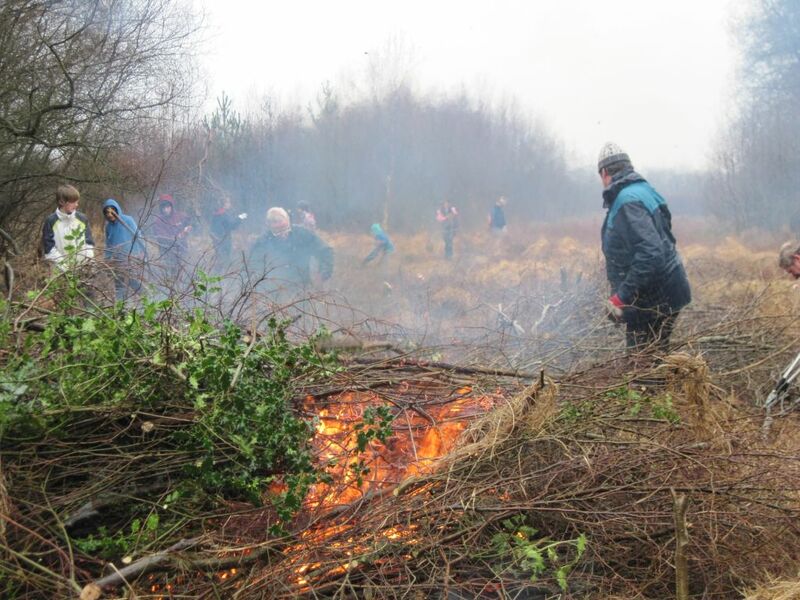 Sunday 13 February saw us return to Fugelmere Marsh for more scrub clearance. It was soggy in the air and underfoot! We had a few members of Fleet Lions join us. David Walker (pictured above) has only just joined FPS. 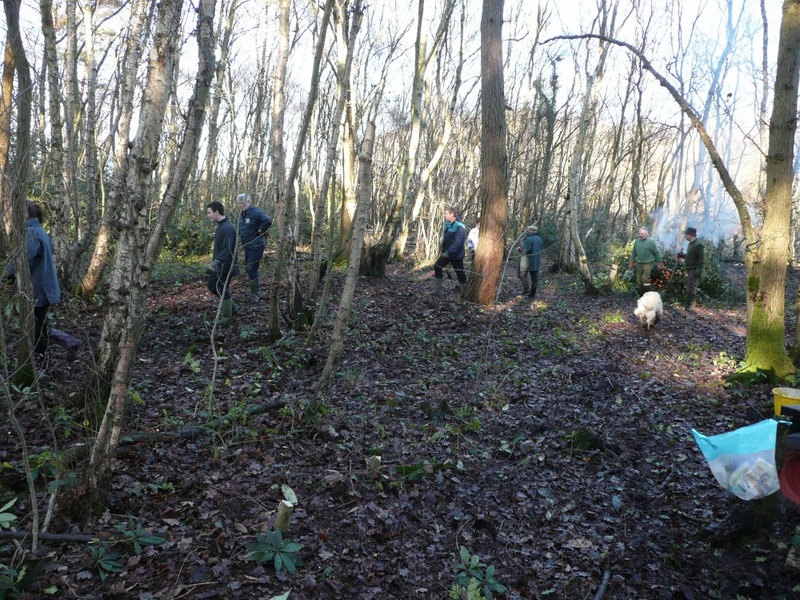 “It’s great to be able to help out on conservation work. Particularly when it will make it even better for me to observe our feathered friends that hang out around here. It’s important that we improve the habitats at the Pond, not just for the wildlife, but so people can enjoy them more too”. “I think Mandy means me” said Jim Storey (our intrepid reporter today…). It’s official! 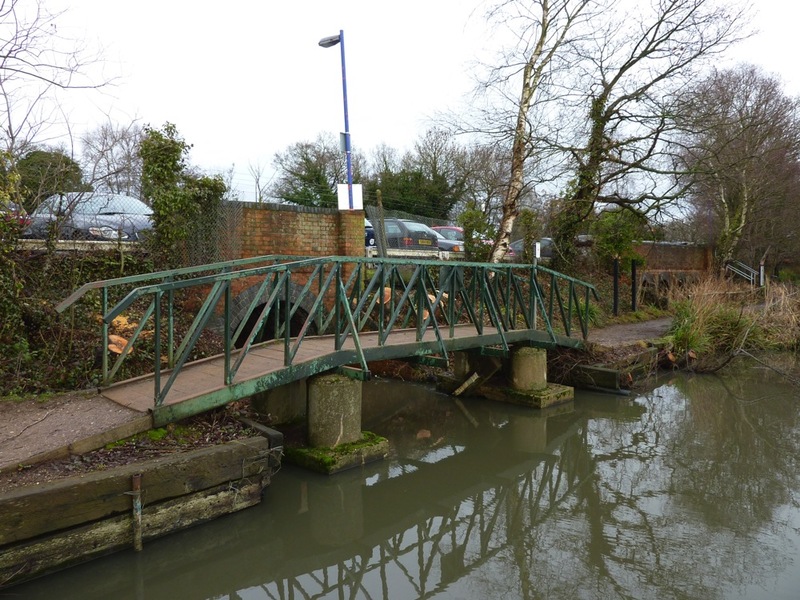 Three new bridges will be in place for the summer. Work on the replacement of the Carnival and Brookly bridges (the current bridges are pictured above) as well as the new link bridge over The Flash will begin in the next few weeks. The new Flash bridge will be particularly welcome. It will facilitate a flat access point from the railway station car park to the network of footpaths round the Pond for the mobility impaired, cyclists and those with baby buggies. The current steps will be removed once the link bridge is in place. 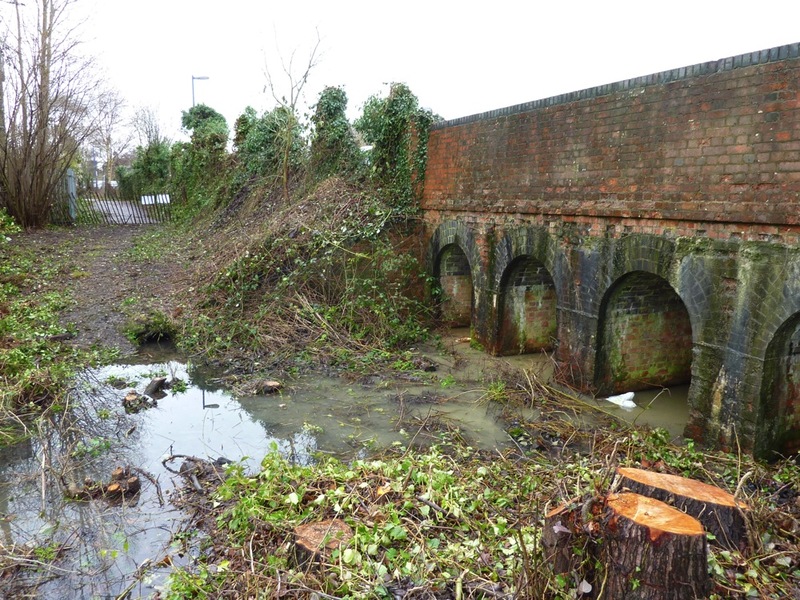 The large willow by the culvert arches at The Flash has already been felled to make way for the new bridge (see picture above). The funding of these bridges was achieved through a variety of sources. £15,000 was allotted from the Rushmoor Environmental Fund, £448 was generously raised by members at our Curry Evening last January and the remainder is an accrual of Local Government Section 106 funds from new developments in Fleet and Church Crookham. 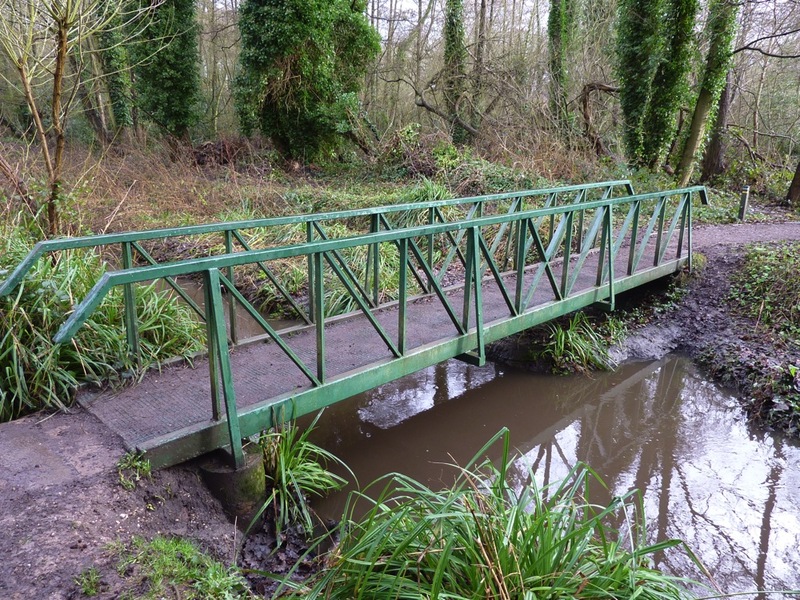 It is not only our visitors with mobility scooters, wheelchairs or buggies who will benefit, the bridges will also allow our conservation work parties access to the entire Pond without having to go the long way round via the local roads. Keep an eye out for information displayed around the Pond informing you of when the work will be taking place, detailing necessary diversions etc. It’s amazing the number of people that visit and take an active interest in Fleet Pond! 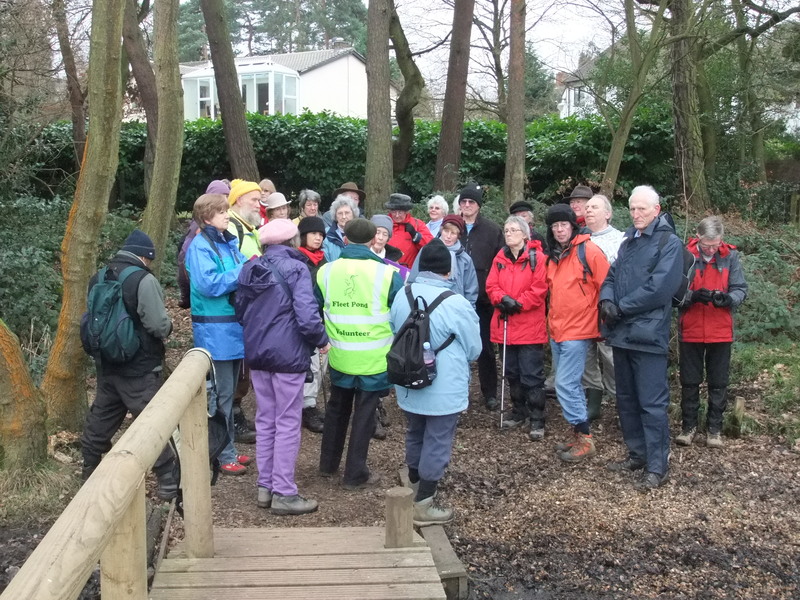 For instance, in the first week of February we had visits from one of the Camberley Study Walks Groups which are led by Bill Andrews (the man with the beard and the yellow bobble hat in the picture above). The top picture is taken from the Tuesday walk and the one below from the Thursday walk. 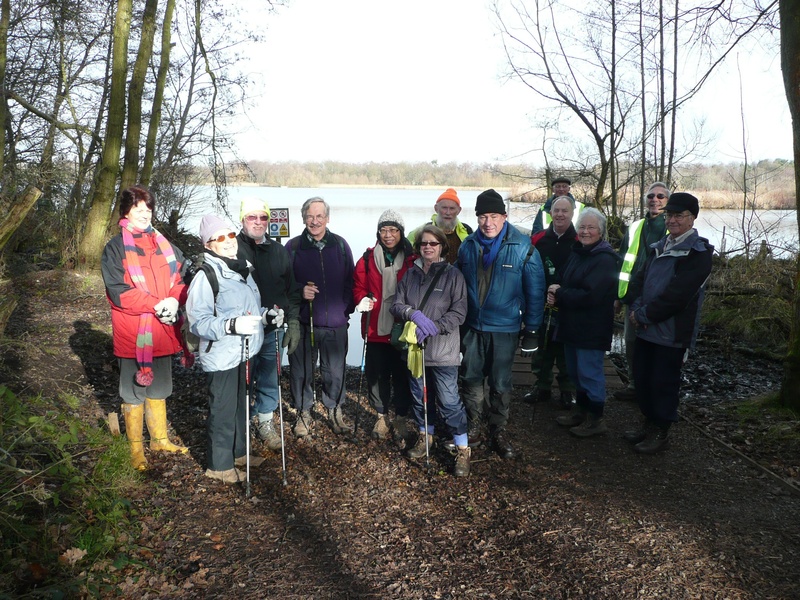 Please note that the top photo includes some people who are members of the Camberley U3A Walking Group who just happened to be walking around Fleet Pond at the same time! The top picture shows Colin Gray, the Chairman of Fleet Pond Society, giving a short and very interesting talk on the history, geology and restoration issues of the Pond. 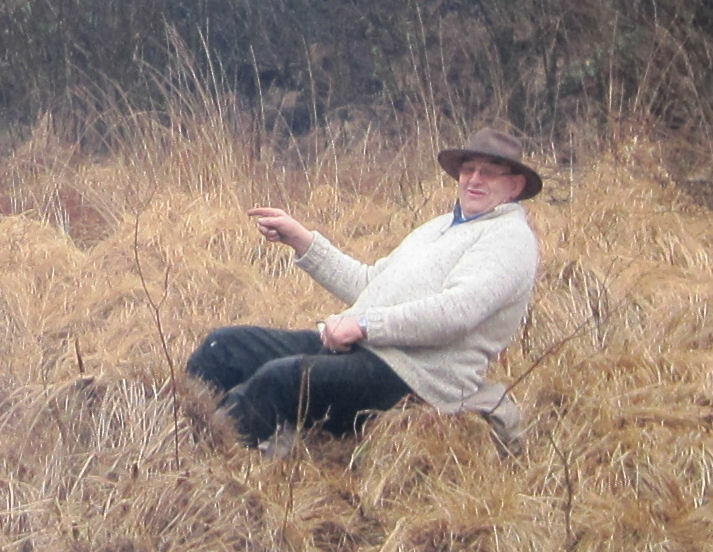 If you would like Colin to give a talk at the pond or at an event, please do get in touch. Colin’s contact details are on the About page above. “Now is a very good time to look out for the visiting finches. Siskins will be feeding on the seeds of alder and birch high up in the tree canopy. A good spot is by the bridge over the Brookly Stream where the alders are tall and packed with their tiny “cones” full of seeds. Siskins “twitter” all the time they are feeding. Look out for flocks of finches feeding among the leaf litter and in particular the Chaffinches as with them you might be lucky enough to see a Brambling or two. 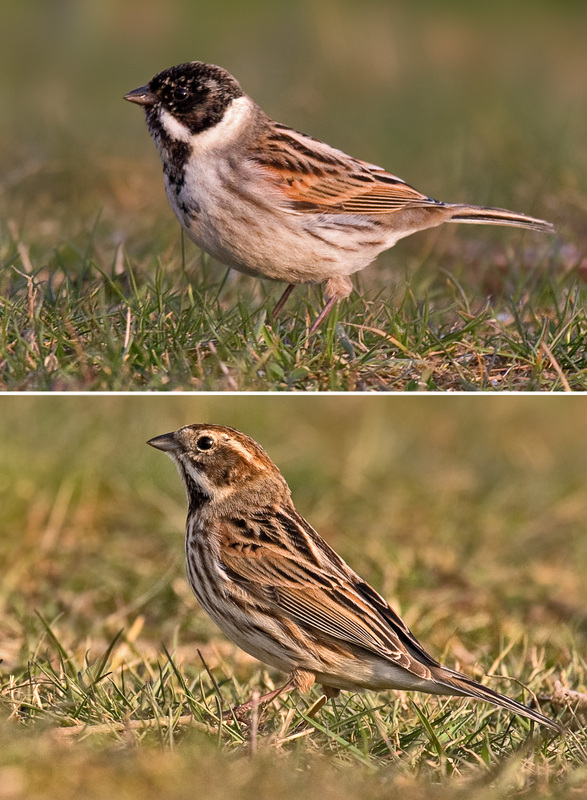 Please also see here (siskins and redwings) and here (siskins and redpolls). 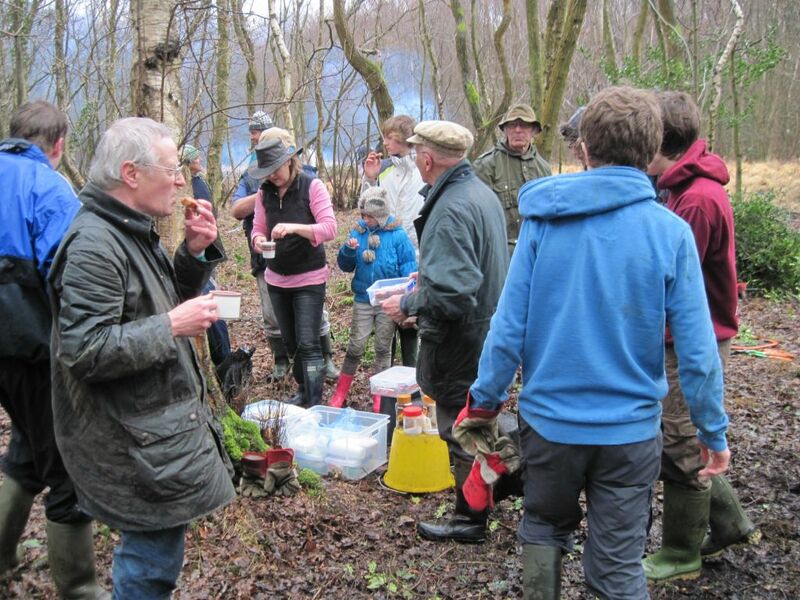 Volunteer Event 9 January – Blue Skies And Baked Potatoes! This event, which focused on clearing dense cover to encourage plant diversity, was blessed with wonderful blue skies. 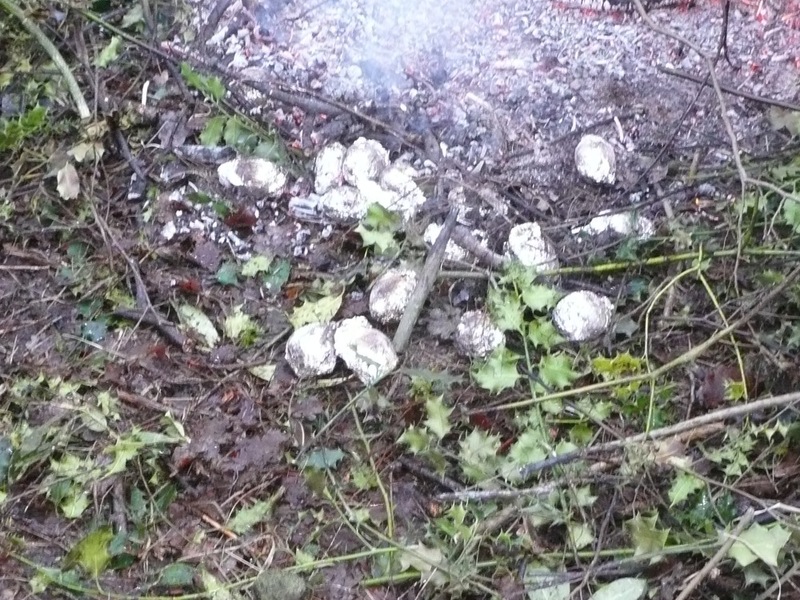 On top of that, and in keeping with an earlier promise, potatoes were baked in the fire and eaten at the end of the session – see pictures above and below. There were quite a few new volunteers at this event which was great to see. 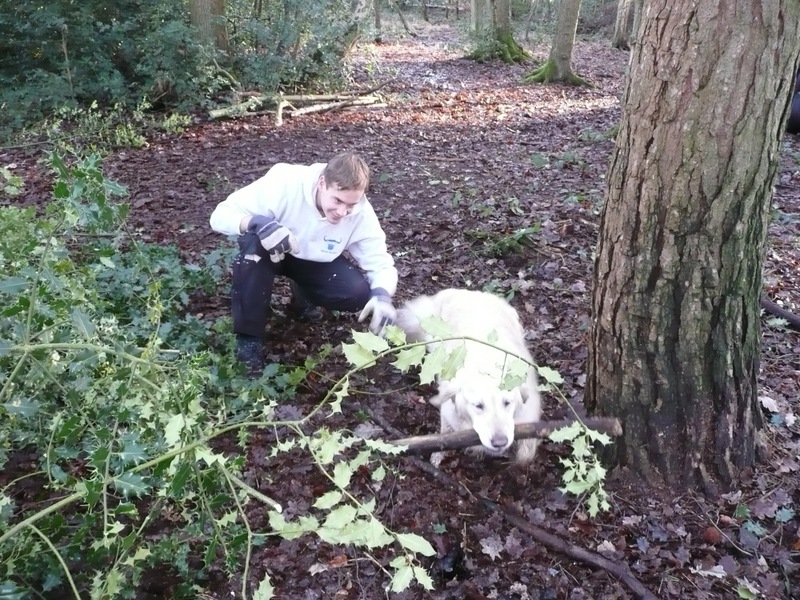 All help is appreciated of course, dogs included! The final result. It’s quite amazing how much 15-20 people can do working together in a few hours. If you fancy coming along to the next event, which is on Sunday 13th, please go here for contact and meeting details (the schedule for 2011 will be published shortly). We hope to see you there! Rare Plant Returns After 21 Years! 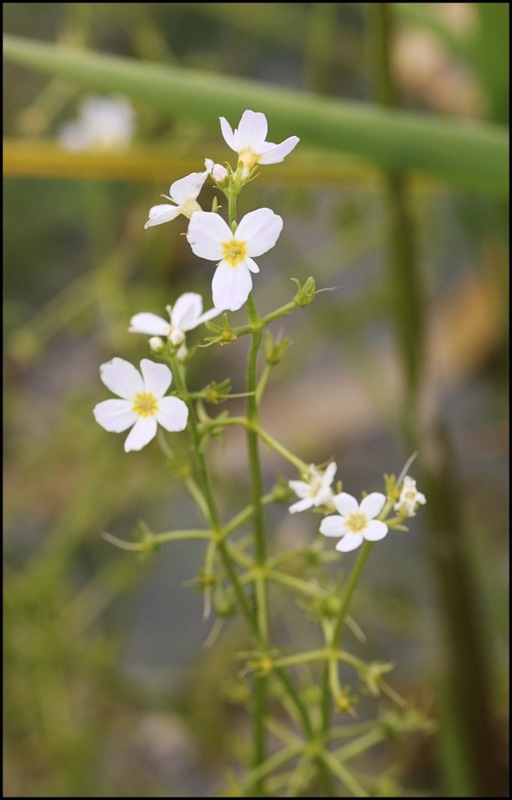 Water Violet, a rare aquatic plant, has returned to Fleet Pond Nature Reserve after a 21 year absence. Local botanist Chris Hall re-discovered the plant late last year. 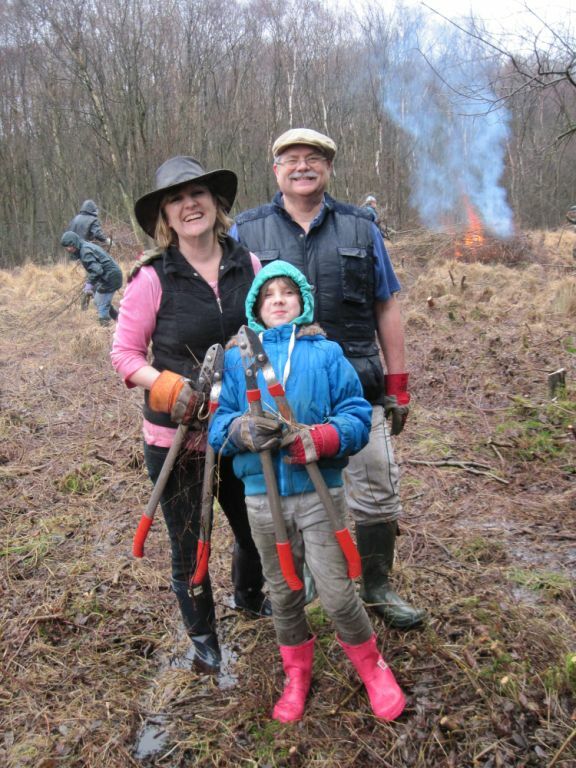 Management work was carried out on an old drainage ditch leading to Coldstream Marsh in the winter of 2009 by Hart Countryside Service. It is thought viable seeds lay dormant in the mud and that the re-profiling of the ditch exposed them to the light and led to germination. Water Violet is a delicate aquatic plant of shallow water or wet mud, found in ditches and pond margins in clear, nutrient-poor water. It produces spikes of delicate lilac flowers in May and June. The name refers to the colour of its flowers but this plant is actually a member of the primrose family. It was first recorded at Fleet Pond in 1850 and there were many subsequent records. Water Violet is a scarce wild flower in Hampshire with only three other recently confirmed native locations in the county. It is also regionally scarce and nationally uncommon, being mainly confined to lowland England. It has declined due to drainage, pollution, excessive management of ditches and recreational pressures on suitable aquatic habitats. There has been a national decline in the number of native plant species and the re-occurrence of this scarce native plant after more than two decades is very positive news. 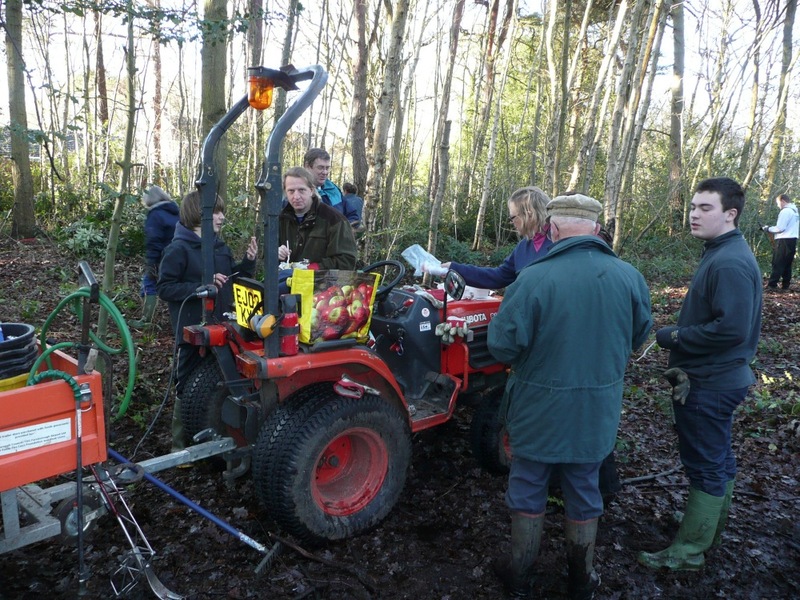 The Fleet Pond Management Plan can be viewed here. You are currently browsing the Fleet Pond Blog blog archives for February, 2011.